Xfinity Series driver Brandon Brown, who races for his father’s Brandonbilt Motorsports, will have Cono.io on his car this year. Cono.io is the website of a new company called Cono, which claims it has a new cryptocurrency coin and marketplace. Both launched on Wednesday, when the deal was announced. 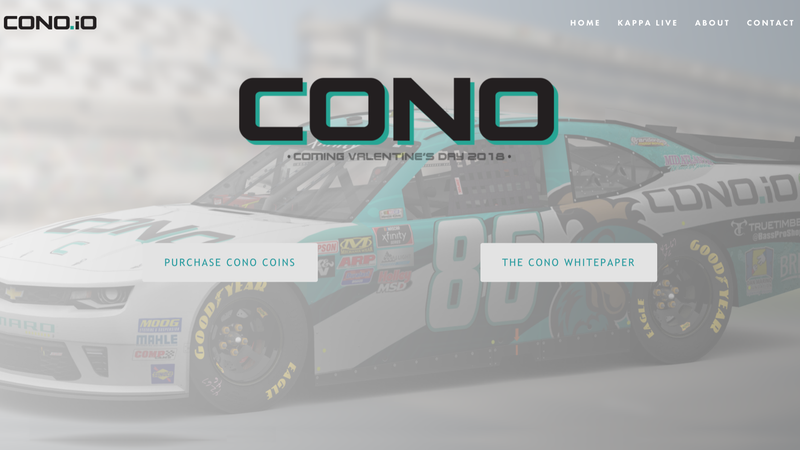 Cono brought other partners along with it to the race team, like a camouflage clothing company, a subscription television service and a nonprofit for people with disabilities. Cono’s claimed cryptocurrency is a Cono coin, and its platform is, apparently, about more than just cryptocurrency. According to its informational pages, the “Cono Exchange” will let users trade government-regulated money for crypto and rewards points from different companies. There seems to be a lot going on, and its informational pages don’t completely explain how it all comes together. The platform is so new that Cono coins are still on “presale” and currently worth 13 cents per coin. Users have to buy at least $100 in Cono coins, or 770 coins, to cash in, and and the website says 75 million coins are available in the presale—that’s worth more than $9.7 million, according to how Cono values its coins right now. The website says all coin purchases are nonrefundable. Considering the current market around cryptocurrencies—the high risk factor with real cryptocurrency, potential for scams, privacy vulnerability and other issues—new forms of cryptocurrency are questionable regardless of apparent legitimacy. Crypto is a confusing landscape that seems to get more difficult to understand as its value fluctuates, and it’s hard to spot what will end up being real, let alone successful. Jalopnik has asked Brandonbilt Motorsports for more information on the deal, which the announcement said was made in cryptocurrency but didn’t specify which kind. We also asked, if the deal was made in Cono coins, whether the coins have been successfully used as currency yet. We’ll update if we hear back.